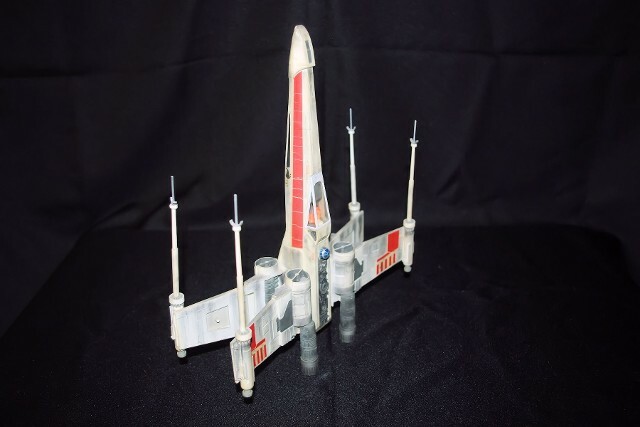 The "Incom T-65 X-Wing Fighter," as flown by Luke Skywalker in the Death Star battle. 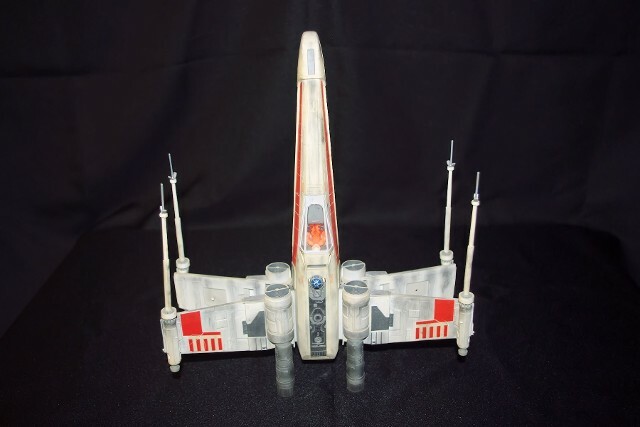 This model is an original MPC model, solad immediately after the 1977 initial film release. 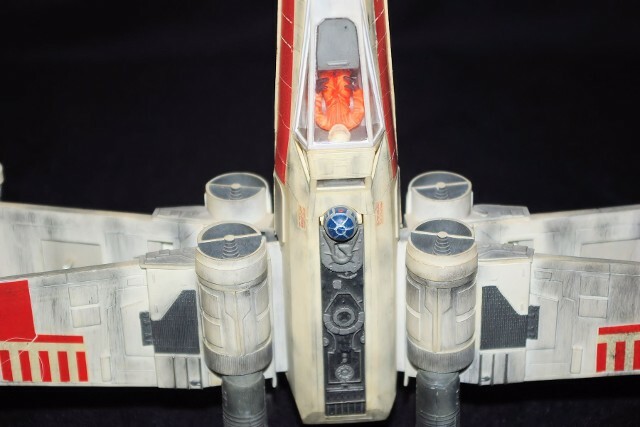 Surface scarring and battle damaged was added to give the model a weathered look.